I was heading out to pick up my kids from school today, and decided to shoot this video. In a couple of days I am heading out to Chicago to attend the "Get Money Event" This is an opportunity to mastermind with several of the industries top marketers. I'm excited as we have several team members heading down with us, and its an opportunity to actually meet a few of these people face to face...as a number of our team members are accross the country. One of the turning points in our Home Business Career was to build our asset, and automate our lead generation strategies online. 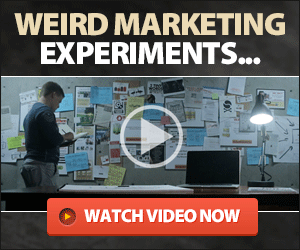 Check out this video below, and learn these 3 weird marketing tricks.